Knott’s Berry Farm has announced that it will open its first Starbucks location. The 935 square foot Starbucks store will open in March 2016 in the California MarketPlace, just outside the Park’s main entrance, and will offer Starbuck’s world class coffee drinks and entrees. Knott’s follows Cedar Point, King’s Island and Canada’s Wonderland as the fourth Cedar Fair Park to open a Starbucks location at its theme park. 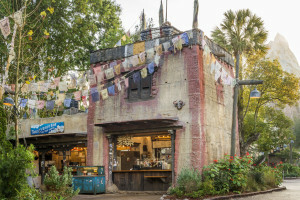 As a themed entertainment destination, Knott’s has partnered with Starbucks to design a welcoming gathering place that evokes themes of the Knott family’s original roadside stand with the familiar, contemporary aesthetic of Starbucks stores. This year’s star-studded concert lineup features a diverse array of talent with something for everyone to enjoy. 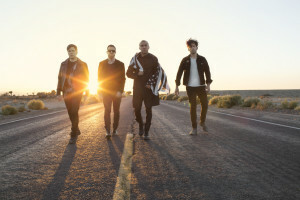 Headliners include rock band Fall Out Boy, teen pop sensation Shawn Mendes, GRAMMY-nominated recording artist Adam Lambert, country singer-songwriter Hunter Hayes and legendary entertainer Diana Ross.